Participant checklist available for download. Page updated 27 June 2016. Held over two blocks delivered across the term 2 and term 3 school holidays, a Primary and Secondary Level 1, 2 and 3 teacher training course will be running in Perth 2016. Click here to view or download the course brochure. 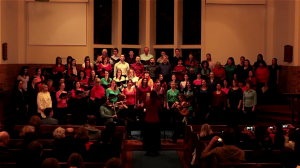 View more videos on our YouTube site. For course information, including costs, please download the Course Brochure. Prospective participants and KMEIA members are encouraged to take advantage of the significantly discounted super early bird registration. 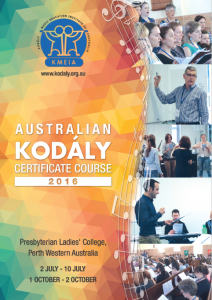 Single subject enrolments (Musicianship, Choir or Conducting) should email akcwa@kodaly.org.au to register. 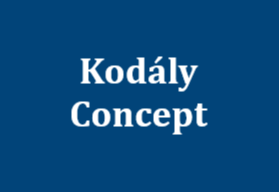 Payment can be made upon receipt of invoice (sent after registration has been processed) using one of the following methods: credit card, direct deposit or cheque. 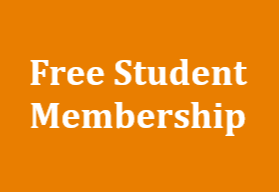 The WA Branch is offering up to four scholarships for KMEIA members (who reside in WA) to the value of half the super-early-bird course registration fee. Scholarship applications have now closed. Applicants will be notified shortly regarding the outcome of their application. KMEIA WA AKC 2016 Scholarship information and application form. *KMEIA members not successful in their application for a scholarship will be offered registration at the discounted super-early-bird rate. Course outlines and song materials, and final check list will be uploaded during March 2016. 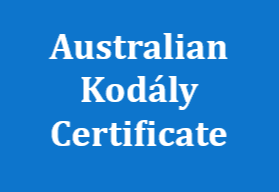 Participants are strongly urged to read further information about the Australian Kodály Certificate in Music Education. Textbook order form. Set texts are required to complete course requirements. Recommended texts provide supplementary information but are not required to complete the course. Sound Thinking Australia is our recommended reseller. 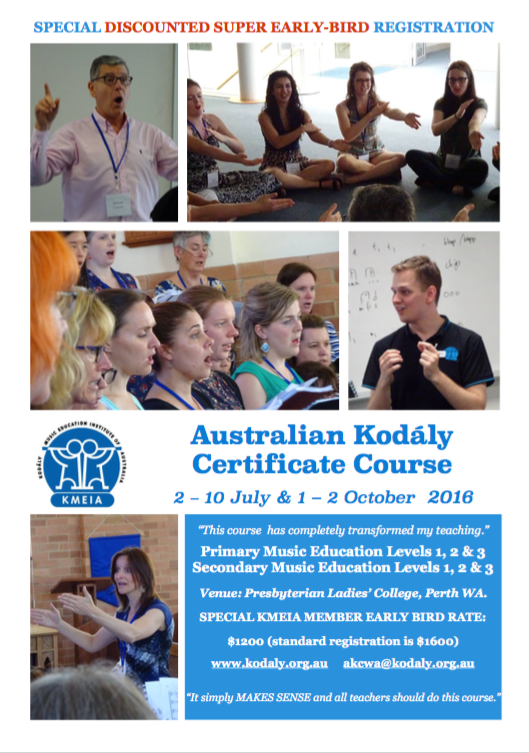 Please note that the KMEIA QLD DVDs Musical Beginnings and Music in the Middle Years will be on sale during the AKC course. Please note that the Song Collections for Primary and Secondary Level 3 will be uploaded during April 2016. Conducting repertoire will be distributed in class on day 1 of the course.